The hospitality industry is often seen as a lucrative business opportunity. After all, business travelers and vacationing families will always need a place to stay. Hotels and motels have not only survived the Airbnb boom, but are still thriving in tandem with it. However, while hospitality is consistently one of the biggest U.S. industries, 2019 is an especially good year to get into the business. Between corporate tax cuts and an increase in disposable income, there are several reasons to take the leap and open a motel franchise of your own in 2019. Since 2013, U.S. consumers and corporations have slowly started spending again post-recession. Consumers spent 4.8% more in 2017than 2016 and the trend continues with consumers spending 4% more in Q2 of 2018 than in 2017. With increased confidence in their financial security, consumers and businesses alike are finally splurging on travel again. In 2017 alone, summer vacations increased by 12.5%, with families spending more than 100 billion dollars on summer vacations in total. Seasonality aside, U.S. domestic travel increased 1.9%, business travel increased 1.3%, and leisure travel increased 2.1%, all in 2017. It should come as no surprise that this recent increase in disposable income and travel would cause a soaring demand for hotels, motels, and other hospitality offerings. As a result, the hospitality industry has consistently outperformed the overall economy over the last few years. The U.S. hotel industry reached 208 billion dollars in revenue in 2017, the highest number seen to date. Measured by occupancy rate, average daily rate (ADR), and revenue per available room (RevPAR), 2017 broke several records for hotel and motel success. While all figures were successful, the record-breaking occupancy rate for 2017 came in at 65.9%, the highest seen since 2001. Hotel and motel chains are seeing this increase directly in their inventories with Hilton, Marriott, and IHG showing room inventories at 4.8%, 3.9%, and 4.5% respectively. All three are expected to grow at or exceed these percentages in 2018 and 2019. When looking at these numbers, it can be easy to interpret them as a one-off fluke in 2017. However, all data signals that 2019 will show even greater growth than previous years. The CBRE predicts a 1.3% increase in gross operating profits in 2018 and NASDAQ predicts RevPAR will increase another 2.7% alongside a 2.4% increase in ADR. To top it all off, even the record-breaking occupancy rate is expected to increase another 0.3% over the next year. When considering low unemployment, higher net household income, and increased consumer spending, it makes sense that the hospitality industry is thriving in our economic climate. Recent political policy has also made 2019 a great year to open your own franchised business. The new Tax Cuts and Jobs Act of 2017, introduced in 2017 and implemented in 2018, included major corporate tax cuts. Now, corporations pay 21% in taxes, as opposed to 35%, which makes opening a franchise more affordable than ever. It’s also noteworthy that these tax cuts provided some individuals with more disposable income, which could contribute to further hospitality growth in 2019 and on. A study completed for the American Hotel & Lodging Association projects that the government’s tax policy changes will increase direct hotel guest spending by $57 billion over the next five years. If there was ever a time to get your foot in the door, it’s now. It’s established that getting into the hospitality business this year is a smart business move. But, why a franchise specifically? Is it just as beneficial opening an independently-run motel? A franchise capitalizes on all the economic and political factors better than an independent motel because, on average, franchises can start quicker than non-franchises. 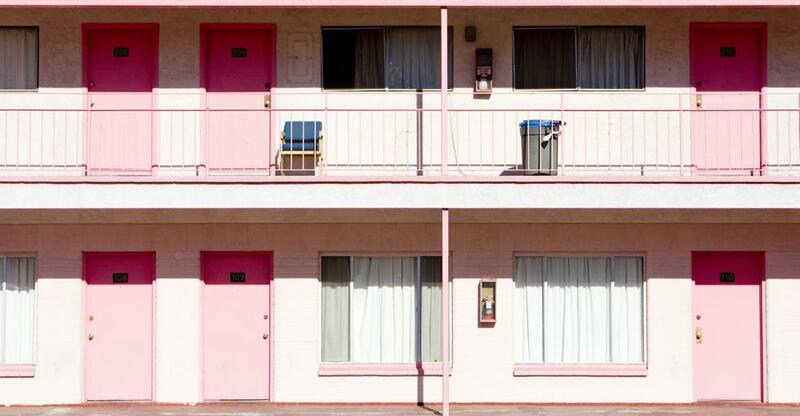 Thanks to existing brand awareness and decades of marketing efforts, chain motels are well-known and trusted by the general public and avid travelers. They require less work on your part to advertise what the business offers, which can take months, if not years, to solidify. Franchises are also generally more easily financed, since lenders already know the brand. Lastly, franchises are usually easier to start because they have set processes, services, offerings, and efficiencies from the parent company. To get the most out of our current economic climate, you won’t want to wait a second. Franchises make starting that process faster and easier. The hospitality industry is growing at an amazing rate, thanks to increasing economic health and consumer interest in traveling. With occupancy rates and operating profits growing year after year, owning a motel of your own is a great way to set yourself up for a healthy financial future.